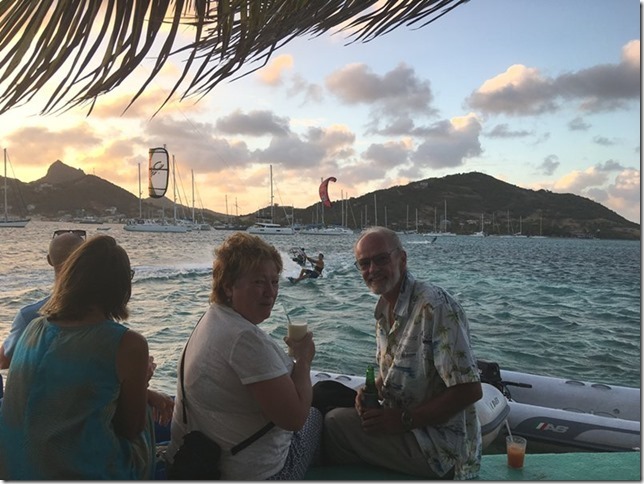 While we were in Union Island we went for sundowners on Happy Island, the little island in the harbour that a guy built from conch shells. It was a great wind for kitesurfing and the instructors were out showing off for the audience on the island They would race up to the edge, bringing their kite overhead so that they catapulted into the air and flew over the heads of the spectators. Some stunning displays of skill. Some of them were earning tips by taking members of the audience on their shoulders. Mostly these were petite young girls, but one big drunk guy bought a ride, much to the amusement of the audience (and dismay of the surfer who had to carry him). Ian managed to get this great shot of a surfer in the air. From the Grenadines we sailed up to St Vincent and anchored overnight in Buccament Bay. There was a beach resort here until quite recently (Andrea discovered it is listed on Expedia although rooms are unavailable for any dates). It now seems to be deserted except for the security guards. We observed the bay’s strange weather effect, where the clouds are constantly raining at the head of the valley, but are totally dissipated before they reach you at the coast. 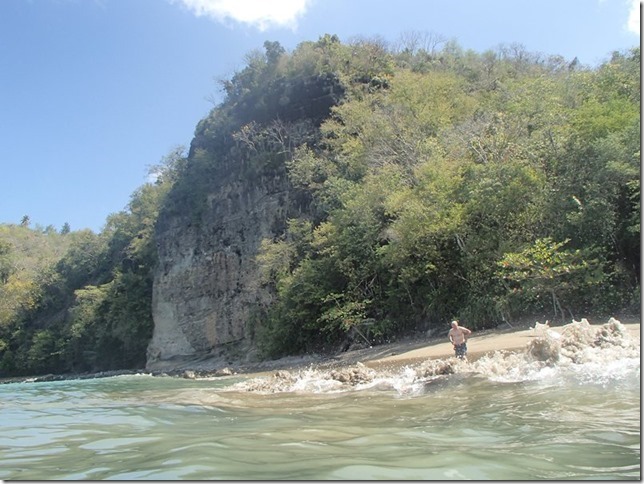 From St Vincent it was an exhilarating sail up to Marigot Bay in St Lucia, where we would leave Ian and Denise. 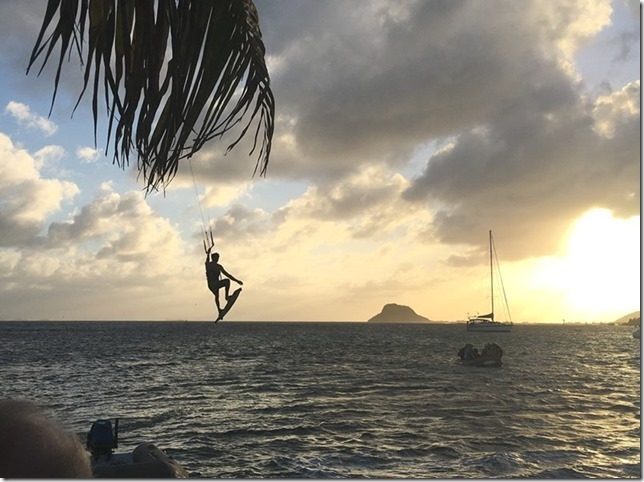 I had avoided Marigot in the past, because my recollection was of a close, humid, mosquito ridden mangrove swamp, but this time we anchored at the mouth of the bay and had a delightful few nights in a calm anchorage with a nice breeze to keep us cool. Their flight was in the evening so during the day we took the dinghy out and headed south from Marigot Bay to find a beach. We found one, but there was a bit of a swell so, while we anchored it offshore, it was still quite a challenge getting on and off the dinghy. Denise has not had good experiences of our dinghy in a swell, but we managed to get her on and off without a repeat of the classic “Denise forward roll”.